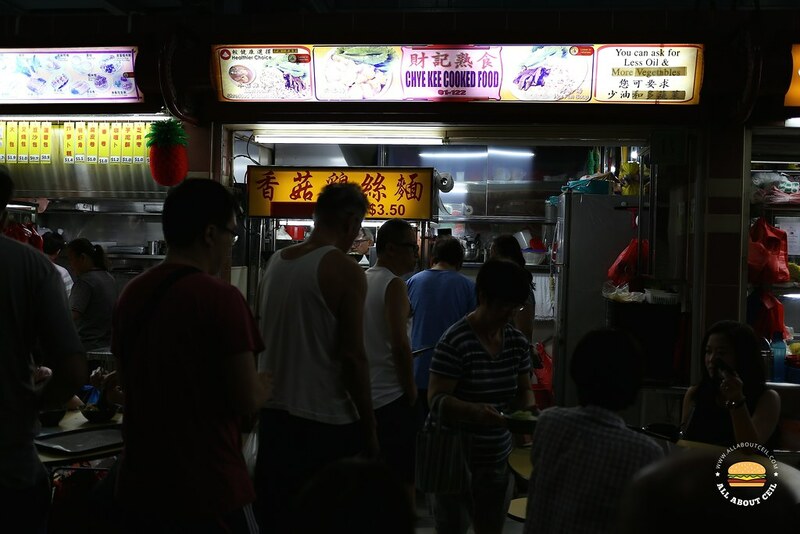 This is another popular stall by an elderly couple in this food centre beside the popular Song Kee Fish Ball Noodle. Their signature dish has to be the Mushroom Shredded Chicken Noodle at $3.00 and $3.50. 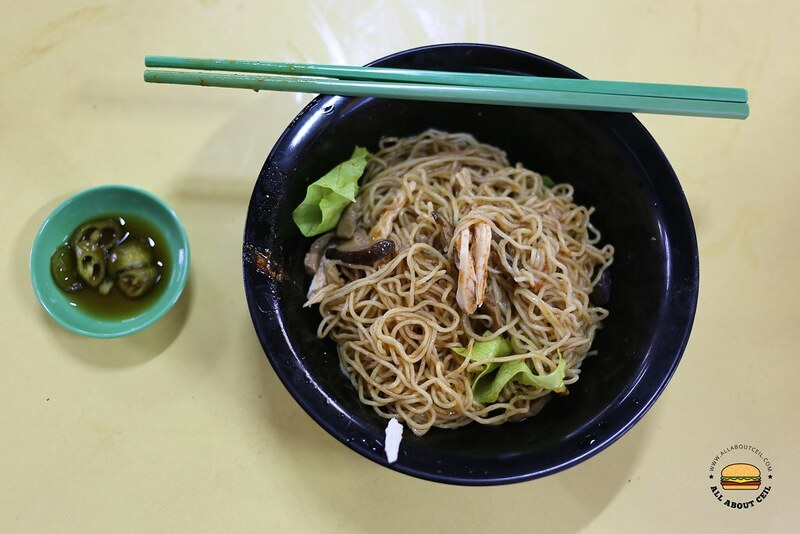 The waiting time could be long as some customers took away a few packets at one go, it is usually longer than the queue at Song Kee Fish Ball Noodle. I decided to go with the bigger portion after queued for so long. 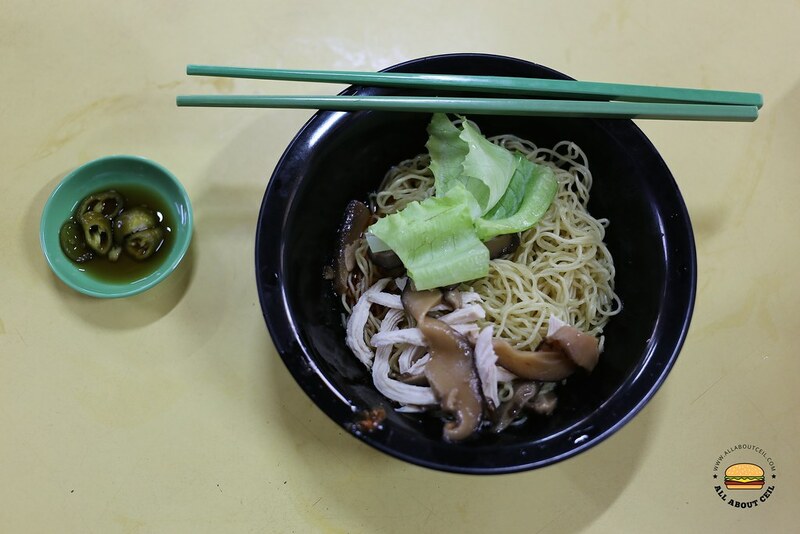 It consists of a good portion of nicely cooked noodles with shredded chicken and braised mushroom. 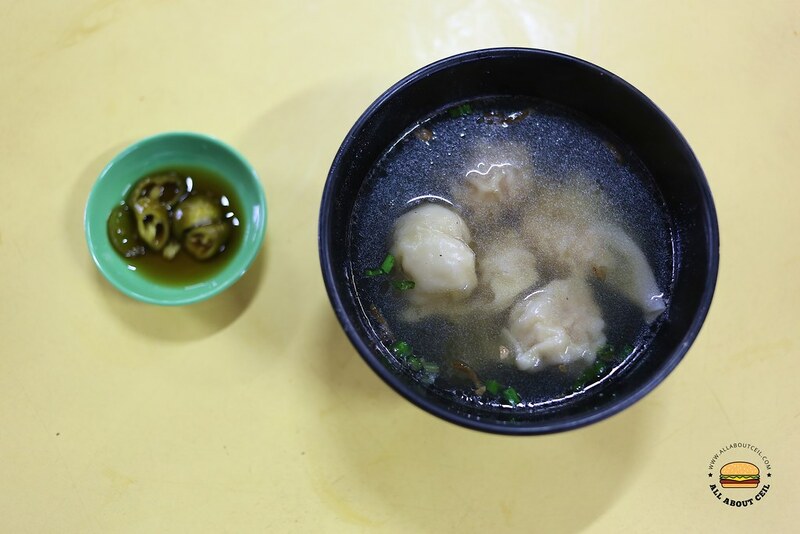 It served along with a bowl of soup that has 6 pieces of handmade dumplings in it. My dining companion was impressed by the dumplings, he said, "This is one of the better ones that I have eaten." He did not find the Mushroom Shredded Chicken Noodle to be spectacularly memorable though. He said, "It was homely but nothing too special."